Don’t let the fear of not pleasing someone stop you from being creative. Either you have a sense of humor about (being a former child star), or you're in rehab. There's not a lot of gray area. No matter what I do with my life, or how successful I am, I will always be a socially awkward penguin inside. Some days, you're just going to be Sideshow Bob, and the world is going to be a dozen rakes. When I was a little boy, I was called a nerd all the time because I didn't like sports, I loved to read, I liked math and science, I thought school was really cool, and... it hurt. A lot. Because it's never ok when a person makes fun of you for something like you didn't choose... we don't choose to be nerds. We can't help it that we like these things, and we shouldn't apologize for liking these things. I wish that I could tell you that there is a really easy way to just... not care. But the truth is it hurts. But here's the thing that you might be able to understand- as a matter of fact, I'm confident you'll be able to understand this, because you asked this question. When a person makes fun of you, when a person is cruel to you... it has nothing to do with you. It's not about what you said, it's not about what you did, it's not about what you love. It's about them feeling bad about themselves. They feel sad. They don't get positive attention from their parents. They don't feel as smart as you. They don't understand the things that you understand. Maybe one of their parents is really pushing them to be a cheerleader, or a baseball player, or an engineer, or something that they just don't want to do. So they take that out on you, because they can't go and be mean to the person who's actually hurting them. So, when a person's cruel to you like that- I know that this is hard- but honestly, the kind and best reaction is to pity them. And don't let them make you feel bad because you love a thing. Maybe find out what they love, and talk about it- how they love it. I bet you'll find out that a person who loves tetherball loves tetherball exactly the same way you love Doctor Who. But you just love different things. And I will tell you this: it absolutely gets better as you get older. I know it's really hard when you're in school and you're surrounded by the same 400 people a day that pick on you and make you feel bad about yourself. But there's fifty thousand people here this weekend who went through the exact same thing- and we're all doing really well. Don't you ever let persons make you feel bad because you love something they decided is only for nerds. You're loving a thing that's for you. 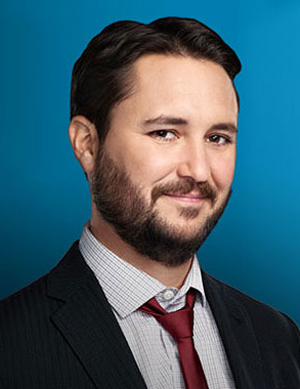 -Wil Wheaton, responding to a question from a young girl at the 2013 Denver Comic Con.